2 team of three plus 2 neutral players. 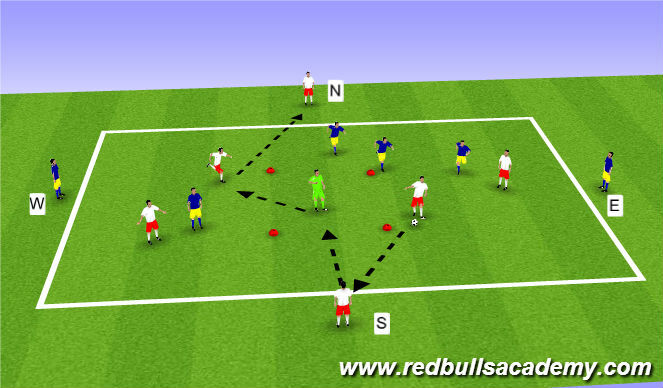 Ball must go from neutral to neutral using either outside or inside player. Ball must be on the ground. Defender can pressure outside players. When attacker loose the ball they become defender. Create space thru the middle by opening field. 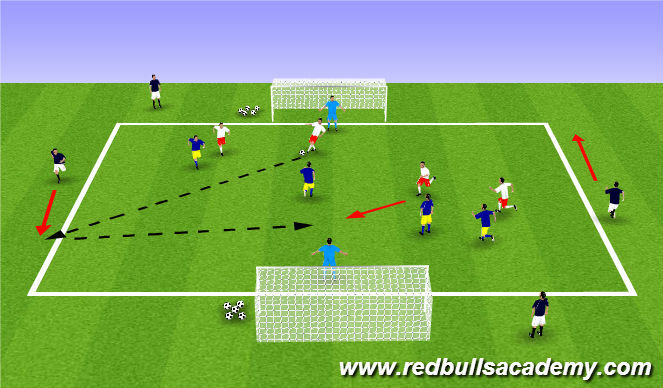 Create space thru the side by checking in from center defender. Quick transition from attack and defense. 30x30 yard area with 5x5 in the middle. 12 players - 6 attackers and 6 defenders (set up as shown) plus 1 neutral. 1. 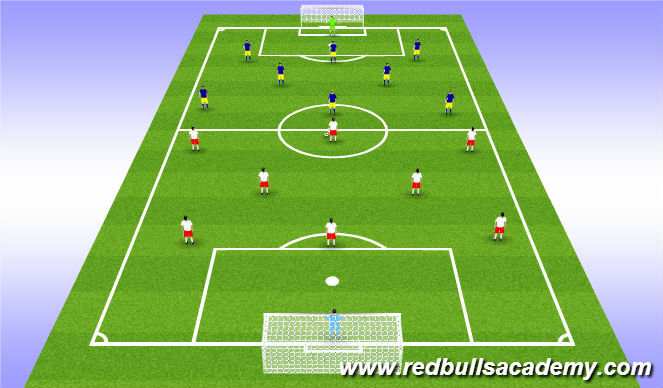 Teams play 4v4 inside the area with two target players positioned on the outside of the area. 2. One team plays North to South the other team plays East to West. 3. The objective of the practice is recieve from one target player and play to the next, this action scores a point if they go thru the neutral in the middle score is doubled. 4. If the defending team wins the ball they should look to pass out to their target player. 5. Rotate target players after a set time limit. 1. Players on the inside should check at angles so that their body position is side on to play forward quickly. 2. Awareness - receiving player should check both shoulders before the ball arrive to assess options. 3. Inside players should look to be positive and create space in order to play forward. 4. Width and depth is important to create spaces as group. 1. Two touch limit on the inside. 2. 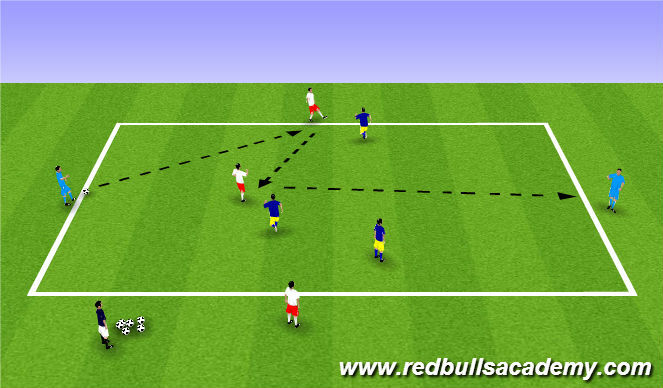 Players on the inside can not pass backwards to target players only forward. 3. Defender can press neutral player after receiving the ball.